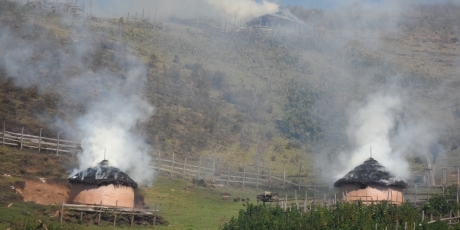 As citizens from around the globe, we call on you to use your leverage over the Kenyan Forest Service and the Kenyan government to urgently halt the violent evictions of the Sengwer people from Embobut Forest. These evictions violate Kenya’s Constitution and are illegal under Kenyan and international law. We also urge the World Bank to prevent such abuses in future by ensuring all its projects respect fundamental human rights or lose funding immediately. Heavily armed police just burned 1,000 homes to the ground to force indigenous families out of the Kenyan forest where they’ve lived for centuries. This desperate community needs our help to save their homes -- and the forest -- before it’s destroyed forever. The World Bank has given millions of our tax dollars to the Kenyan forest police who are annihilating this ancient community. And -- with new funding at stake this year -- the Bank has massive leverage over the government. So far the Bank is staying mum, but if enough of us supercharge the community’s call for help, we can force it to demand this horror stops. World Bank President Jim Yong Kim says he wants to change the Bank. Let’s hold him to his word, demanding that he call on the Kenyan government to stop these vicious land grabs and commit to new human rights standards for all future grants. When a million of us sign, we'll grab Kim's attention by showing burning homes outside the Bank’s Washington HQ. Add your name now.